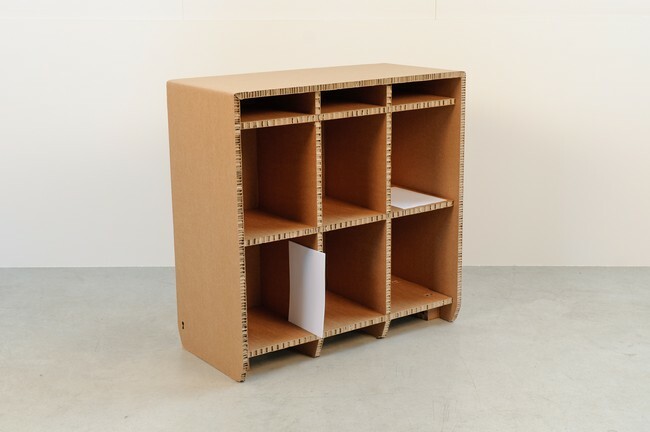 Cardboard furniture for temporary spaces and kids rooms. 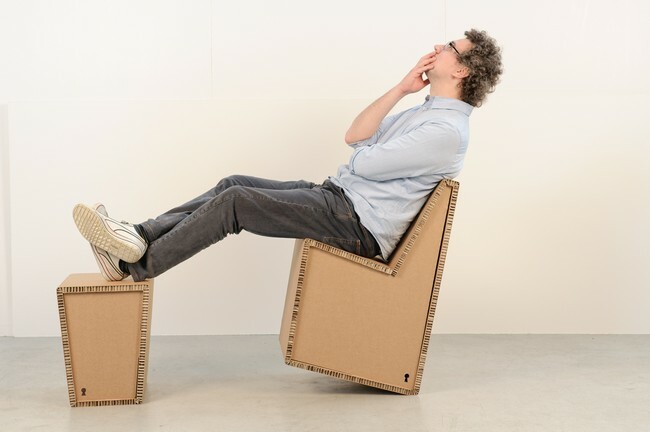 “StandUp” Chair made in honeycomb cardboard: very strong and sustainable. “StandUp” Chair made in honeycomb cardboard. 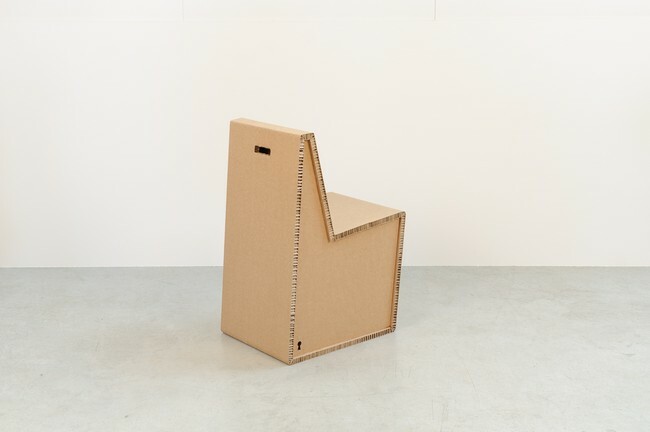 “StandUp” Chair and Stool made in honeycomb cardboard: strong and sustainable. 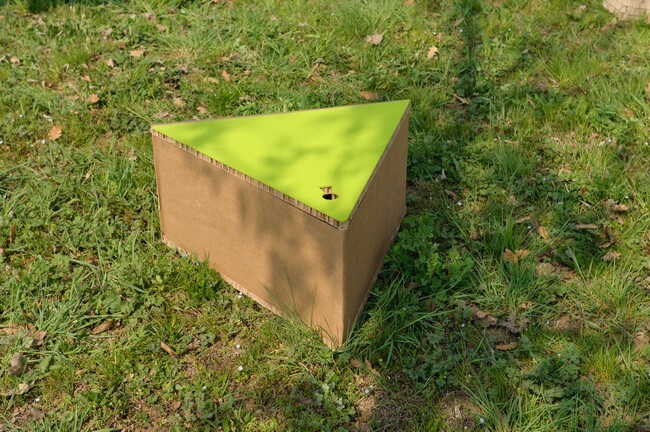 “StandUp” Stool made in honeycomb cardboard. 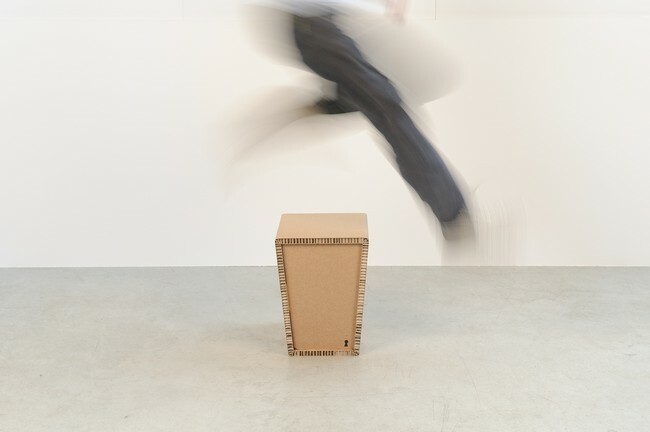 “StandUp” High Stool made in honeycomb cardboard: easy assembly! “DeskUp” Reception Desk made in honeycomb cardboard: perfect for stand and temporary exhibition. 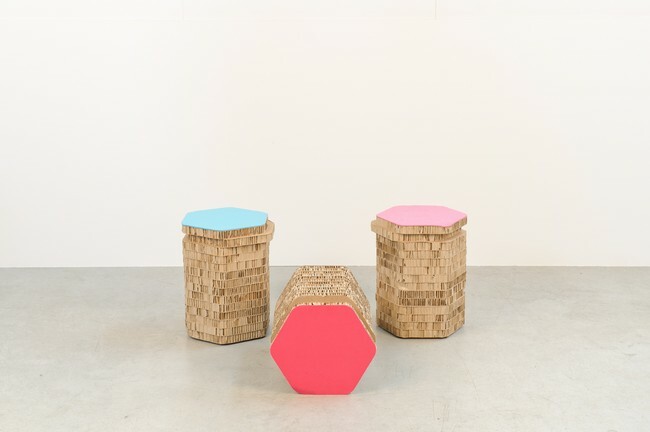 Stools in honeycomb cardboard and colorful felt. 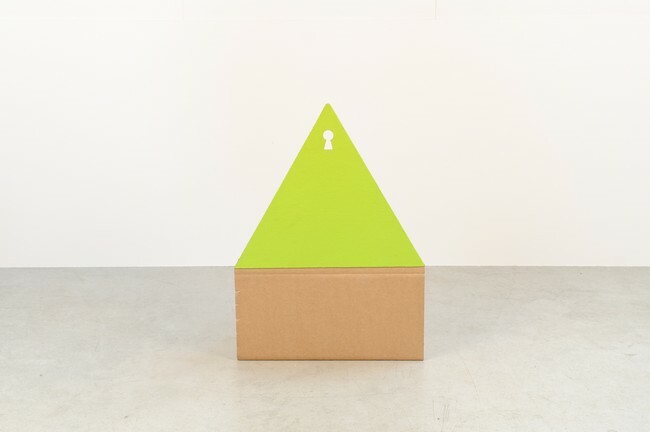 “KidsUp” and “Paris” little chair and table for children in white cardboard. 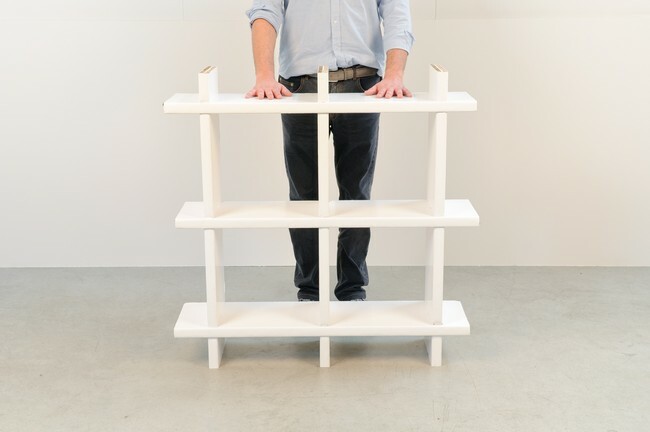 “Junc” Bookcase made in white honeycomb cardboard: strong and sustainable. “Cucù” box in honeycomb cardboard and colorful felt: perfect to hold all the toys for children. “Cucù” box in honeycomb cardboard and colorful felt in the Nature. 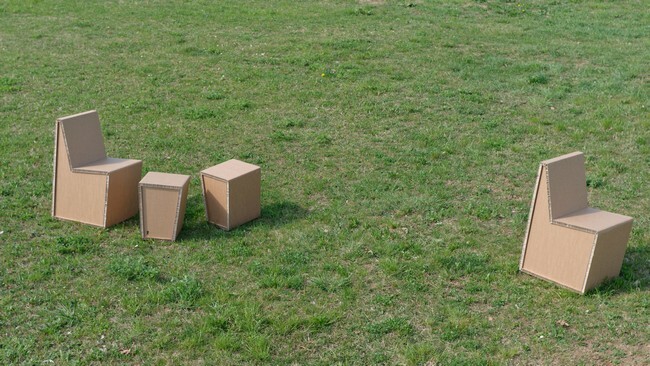 “StandUp” Chair and Stool made in honeycomb cardboard in the Nature. 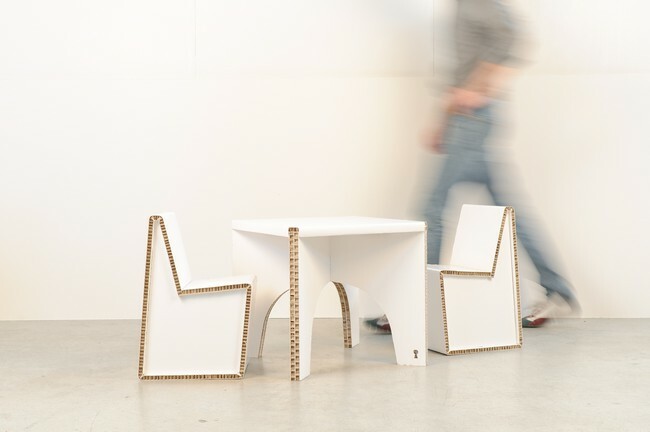 Eccoqua furniture in honeycomb cardboard: light but strong.